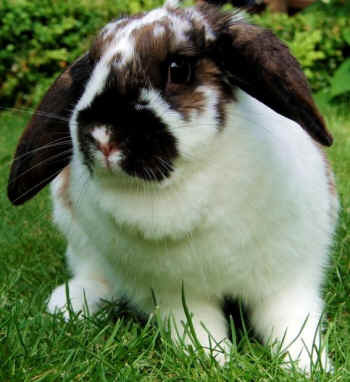 Domestic rabbits typically live between 7 and 10 years. While a rabbit may seem like a straightforward “$25 purchase,” anyone buying a bunny should expect to spend thousands of dollars on rabbit supplies and veterinary care over the next decade, in addition to many hours spent cleaning up after the rabbit. Don’t be among the people who bring home a rabbit for Easter, a black cat for Halloween, a puppy for Christmas, or any pet for any holiday. By giving actual gifts (not animals) during the holidays, you can keep the holidays memorable in your family for all the right reasons. A rabbit is arguably one of the cutest animals on the planet. Combined with a little Easter spirit, the innate adorableness of bunnies can sway an otherwise reasonable person to impulsively buy a real live rabbit for Easter. While bringing home an “Easter Bunny” may seem like an idyllic way to celebrate the season, there are many ways this seemingly harmless idea can backfire. Throughout the spring months, rabbits are sold for relatively low prices at many pet stores, farm stores, flea markets, and online. When we see a bunny being sold for less than the cost of a pair of shoes, we may be tempted to tell ourselves that buying a pet rabbit is no big deal. In reality, nothing could be further from the truth. For one, domestic rabbits typically live between 7 and 10 years. While a rabbit may seem like a straightforward “$25 purchase,” anyone buying a bunny should expect to spend thousands of dollars on rabbit supplies and veterinary care over the next decade, in addition to many hours spent cleaning up after the rabbit. In short, if you think a baby bunny would make a nice last-minute addition to your child’s Easter basket, consider the likely possibility that you may still be buying rabbit food and cleaning up after a rabbit on your child’s 21st birthday! While nobody wants to be “surprised” by a 10-year commitment, even worse is the unexpected loss of a new pet. Unfortunately, this too is a likely consequence of acquiring a pet for a special occasion, as one family in the U.K. discovered through circumstances that were nothing short of dreadful. One Easter, the family bought a rabbit for their 9-year-old daughter. The house was presumably unprepared to accommodate a rabbit, so the new pet was put outside. Shortly after the Easter holiday, the girl entered the yard to visit her rabbit and found that the animal had been killed. The girl was so deeply disturbed by the sight that she couldn’t bear to go into the yard days later. The rabbit’s death likely came as a shock to everyone in the family. However, prior research on rabbit care would have likely revealed to the parents that rabbits are a quintessential prey species. As such, rabbits should never be left outside unattended, especially at night when nocturnal predators are most active. As this incident sadly illustrates, when a pet is purchased on a whim, important information regarding the pet’s care can be overlooked – often with disastrous results. Lastly, many holiday pets are brought home as a “surprise” for a spouse or children – but the real surprise may be that the recipient doesn’t actually want the pet. This common scenario ends with the purchaser frantically calling animal shelters, only to find that the local shelters are already overwhelmed with requests from other callers in the same predicament. Holidays are fun partly because they put us in a shopping and giving mood, but all that shopping and gift-giving shouldn’t include the buying and giving of pets. Don’t be among the people who bring home a rabbit for Easter, a black cat for Halloween, a puppy for Christmas, or any pet for any holiday. By giving actual gifts (not animals) during the holidays, you can keep the holidays memorable in your family for all the right reasons.